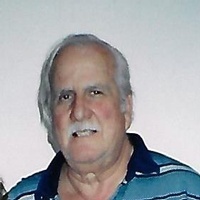 DALRYMPLE, Francis L. - Of Waltham formerly of Somerville passed away on January 9, 2019. Beloved husband of Evon (Brennan) Dalrymple. Devoted father of Gary Dalrymple and his wife Sandy, Diane Stuart and her husband Donald, Debra Beaulieu and her husband Ronald, Karen Guinan and her husband Kieran. Loving Pops to Wesley, Caitlin, Ronald, Donald, Brendan, Alison, Joshua, Kieran, Emily, Katherine, Connor, Victoria and Sara. Dear brother of Virginia, Donna Lee, Janice, the late Richard, Alan, Frederick, Donald, Lillian, Marion, Louise and June. Calling hours will be held for Francis, in the George L. Doherty Funeral Home, 855 Broadway (Powder House Sq.) Somerville, Saturday morning January 12, 9:00 - 11:00, followed by a Funeral Service at 11:00. Relatives and friends invited. Interment private. In lieu of flowers donations may be made in Francis' memory to St. Jude Childrens Hospital, 262 Danny Thomas Place Memphis, TN 38105 or to The Shriners Hospitals for Children, 2900 Rocky Point Dr. Tampa, Florida 33607. Francis was a longtime member of the Masonic Lodge. © 2018 - 19 George L Doherty Funeral Service, Inc. All Rights Reserved.